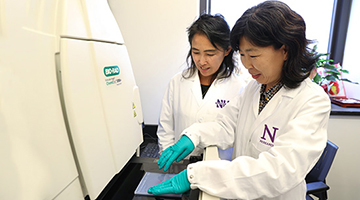 The Division of Kidney Diseases at Northwestern University Feinberg School of Medicine’s Department of Pediatrics, through its partnership with Ann & Robert H. Lurie Children’s Hospital of Chicago, is dedicated to education, research and patient care related to children with acute or chronic kidney problems and disorders of bone and mineral metabolism. "The division of kidney diseases is dedicated to optimal patient outcomes by providing state of the art care for their conditions, and in performing high quality basic, translational and clinical research for those same conditions in order to develop a personalized medicine approach to pediatric kidney diseases." As one of the country’s largest pediatric kidney diseases groups, we are able to provide comprehensive care to all disorders of the kidney and related metabolic diseases using innovative, evidence-based care that we have often pioneered. U.S. News & World Report ranks the division 12th in the nation for pediatric kidney disorders. The Pediatric Kidney Transplant Program, which is part of the Siragusa Transplantation Center at Lurie Children’s, was the first in the Midwest to perform a kidney transplant in a pediatric patient, is the largest program of its kind in Illinois and is among the nation’s leaders for superior outcomes over the past decade. Our division physicians lead and participate in this multidisciplinary program through which more than 580 kidney transplants have been performed since its inception in 1964. We specialize in dual-organ transplants involving the liver and kidney for metabolic disorders such as oxalosis (primary hyperoxaluria) and have performed more kidney transplants in heart transplant recipients than any other pediatric hospital to date. The division has a wide-range of funded research, from basic mechanisms in understanding the progression of chronic kidney disease, applied translational research in proteomics and biomarkers, and including state-of-the-art clinical trials of new therapeutic agents. All faculty and fellows are actively engaged in transmission of scholarly knowledge. Our faculty and fellows present regularly at conferences around the world dedicated to kidney diseases. 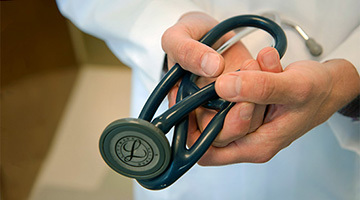 Our work has fostered new approaches to diagnosis and treatment of kidney disorders. View our publications feed. Undergraduate students, graduate students, medical students, residents and fellows are exposed to all aspects of the science of pediatric kidney diseases, and in the clinical arena, all aspect of the diagnosis and care related to kidney disease, including evaluation, specialized testing, ongoing therapeutic care, family education, coordination of home healthcare, and kidney replacement therapies such as continuous renal replacement therapy, dialysis and kidney transplants. We offer special programs in pre-natal counseling for suspected genetic kidney disorders and plasmapheresis for suspected antibody-mediated disorders. 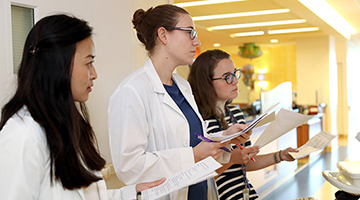 Faculty regularly teach at Feinberg School of Medicine, including in the pre-clinical years. The division offers ACGME-accredited fellowships annually through applications with the National Resident Matching Program.